Keen readers of this blog will have noticed the penchant of its author to quote song lyrics by way of introduction to a post. Having been asked to contribute a guest post, I endeavoured to continue this tradition. But, alas, despite an admittedly less than exhaustive internet search, I could find no laments to the passing of a lemon tree. Pets, cars, musical instruments, yes; the humble old citrus staple, no. In the area of Melbourne where I live, the northern suburbs, it would seem that there is a statutory requirement to grow your own citrus. The post-war wave of immigration put the now hip urban farmers to shame and, in the gardens around my area, these aging practitioners continue to cram their blocks with a truly astounding array of produce. If you want to see how hard you can prune an olive tree, you only have to wander a few houses up my street to be given a master class in ‘hard pruning’. 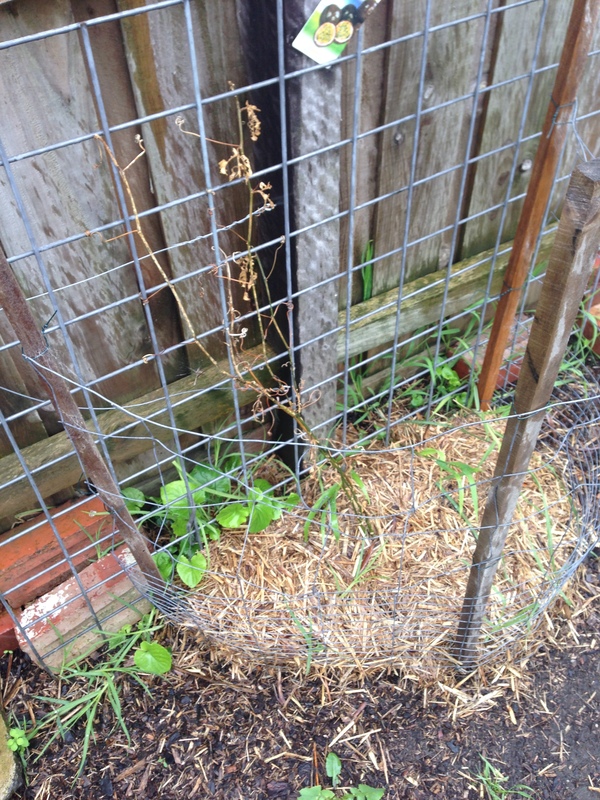 Come summer and backyards are transformed into elaborate mazes of bird netting. And always, in pride of place, is a lemon tree. Beautifully kept and super productive. I regularly arrive home to find a bag of lemons on my doorstep from two houses up. So, in the spirit of the neighbourhood, our first task upon moving in, before we had finished clearing the backyard, was to plant a citrus grove. 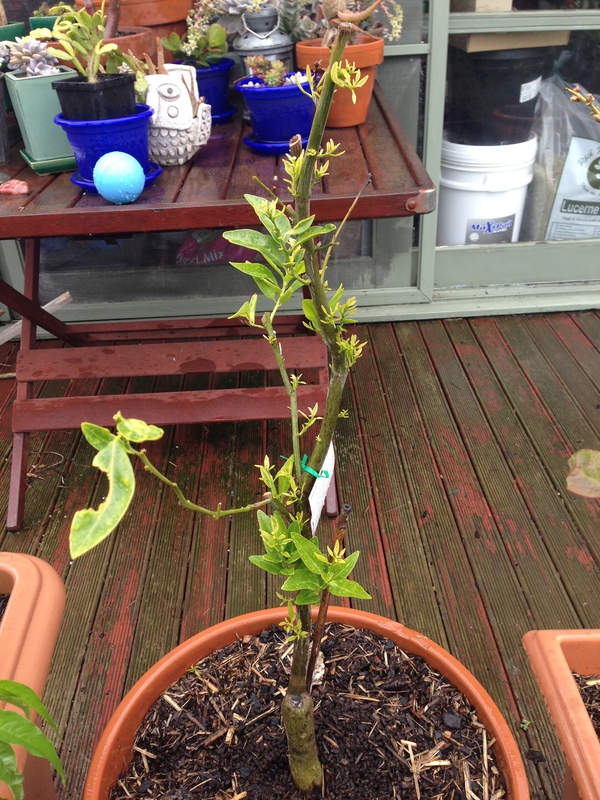 We planted a lemon tree (of course), a Japanese mandarin, a blood orange and we transplanted the lime tree we’d grown in a wine barrel in a previous rental life. 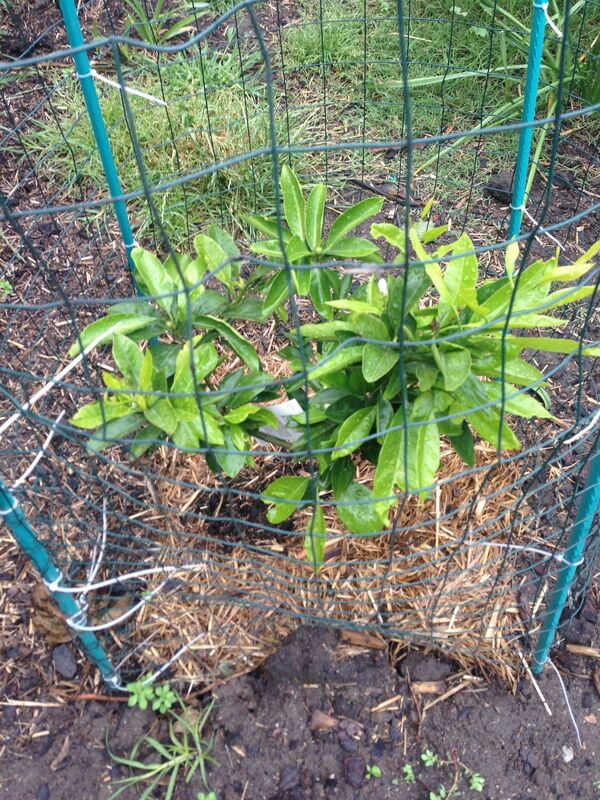 For good measure, we also planted a passionfruit vine. I sat on the deck with a beer and dreamt of homemade cordial, citrus pies, a school lunchbox filled with freshly plucked fruit and maybe even dropping off my own excess produce on doorsteps. It wasn’t long before the dream soured a little. The blood orange was in the direct path of our two working dogs and copped something of a battering as they charged up and down the fence line in response to the sound of the whipper-snipper next door. No problem, I thought. We’ll pot it up until it’s big enough to transplant. Everything else is doing well. Just a slight hiccup. The Japanese mandarin gave us five unexpected fruit just months after planting and they were delicious. The dream continued. Next spring I thought. Next spring. Next spring indeed. Next spring brought Gall Wasp. The citrus grove was infested. We did some research and took the advice of cutting out the affected areas, which pretty much left nothing but sticks. But hey, from everything we heard, citrus LOVE a hard prune and with plenty of food and water they would soon spring back. The lemon grew back a bit. The Japanese mandarin likewise. Meanwhile, the passionfruit was attacked by Passionvine Hopper (Fluffy Bums) (see below). So the dream continued, not so much shattered as postponed. At this stage, and harking back to the title of this post, I should probably add a fourth lesson to the list: 4. There are times when you just have to give up and move on. All through the winter just passed, I was impatient for spring (forgetting lesson No.1). I normally love winter. It is a time of reflection in the garden. Stripped back, you can see its bare bones and begin planning around that exposed structure. But this winter, all I could see was the carnage where once I had dreamt of a verdant citrus grove. I fretted. I saw the new deliveries of citrus into the nurseries and said to myself, ‘Be patient’. I nearly succumbed a few times, always walking out with something, but not a citrus. It’ll be okay, I thought. Be patient. In August, I bought a stack of those yellow sticky insect traps. The backyard was aflutter with yellow. Try getting past those, gall wasps! Well, spring came, of course, and whilst it has been a funny one, the garden has responded as it should. The peach, nectarine, mulberry and fig trees have exploded. The olive has recovered admirably from its own hard prune. The blood orange and ruby grapefruit blossomed and we will get fruit. 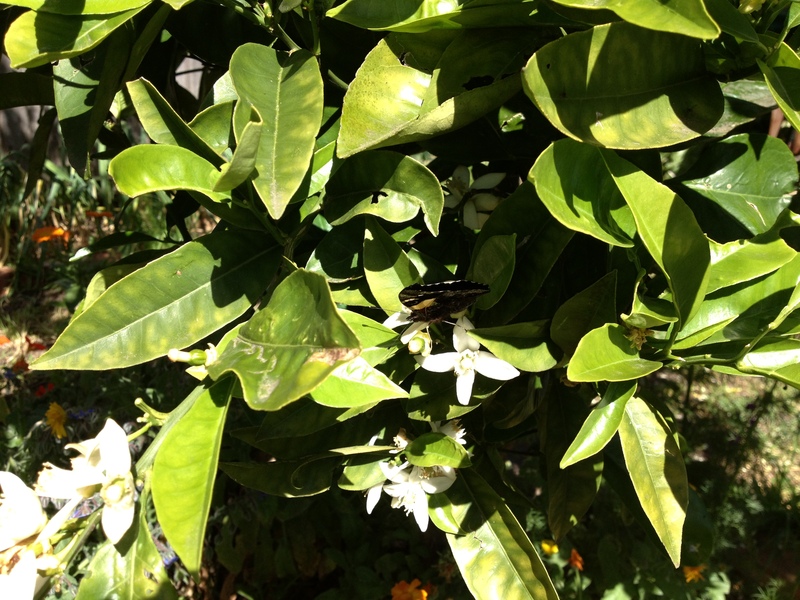 But the citrus grove, and the potted Imperial Mandarin … well, nothing. We fertilised, we mulched and we watered. Nothing. Be patient. I waited. And then, slowly the Japanese mandarin awoke (above). Every morning I’d go out to check and, yes, it was growing back. It has recovered. It is doing well. Be patient. Hope renewed. And the Imperial mandarin sprouted. It still looks bedraggled but it, too, will make it. So, back to the title of this post. On the Sunday just gone, we took a trip to Blackwood to visit the garden and café at St Erth, part of the Diggers Club network. We, of course, also spent way too much money at the nursery. My fretting had given way to harsh reality. Lesson No.4. The lemon and lime were gone. Time to move on. 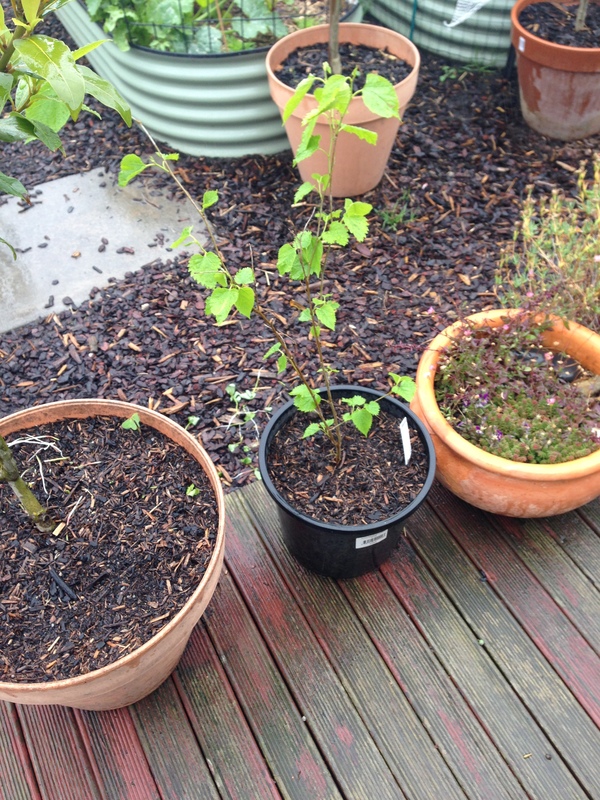 I bought another mulberry tree. A white one this time. We talked about it on the way home. The lemon was going to be replaced by the mulberry. That was it. Move on. When we arrived home, all resolve vanished. I had my hand on the shovel. But I just couldn’t do it. We gave what growth there was on the lemon tree another prune – a soft one this time – and it felt like the last palliative care hope. One more chance. Or maybe we haven’t fully taken in lesson No.4 yet. And maybe lesson No.1 is the most important. For, on Monday, I spotted what I thought was new growth on the lime tree. As I write this, I can confirm that yes, there is new growth. The lime tree has had a last minute stay of execution. Patience indeed. What to do with the new mulberry? What to replace the passionfruit with? The fluffy bums have won that battle. Time to move on. The lemon tree lives on. It has just stopped raining and I’m going to take the dogs for a walk. There is a lemon tree just up the road that has recently been hard pruned. European style. I’ve noticed the new growth on it. I’ll check it out again to remind myself. Be patient. 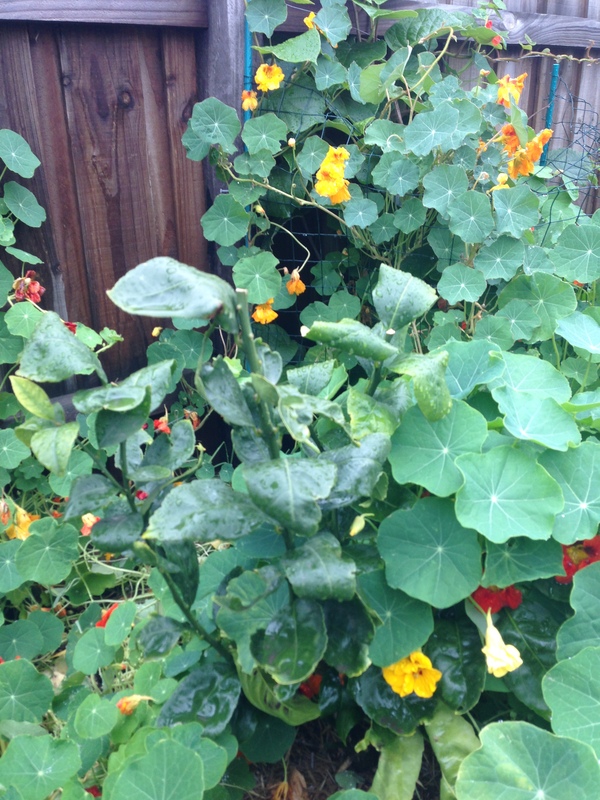 For more details about Russell, Lisa and Turlough’s garden, check out A Small Place.